Bach flower therapy is a powerful tool to reconnect with your body and your feelings. To be healthy our body needs energy to flow freely through the body. If we experience painful emotions that are difficult to process we may unconsciously suppress these emotions by blocking the flow of energy in our body. The majority of our energy blockages are on a emotional level. A flower essence can soften or eliminate an emotion. Our body then does not need to block the emotion, the energy body is no longer blocked and can flow again. We can then achieve our optimal level of health. For each emotion nature has prepared a medicine. Sensitive people notice that a energetic effect comes from the different trees and plants. Bach flower remedies are an alternative treatment developed by the homeopath Edward Bach. 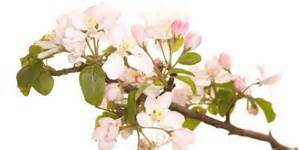 The flower remedies are extracts made from blossoms with water. Bach prepared 38 different flower remedies. A standard combination of 5 specific Bach remedies is known as Rescue Remedy. The Rescue Remedy is intended as a first aid against stress and panic situations. Rescue remedy is also available as a salve.